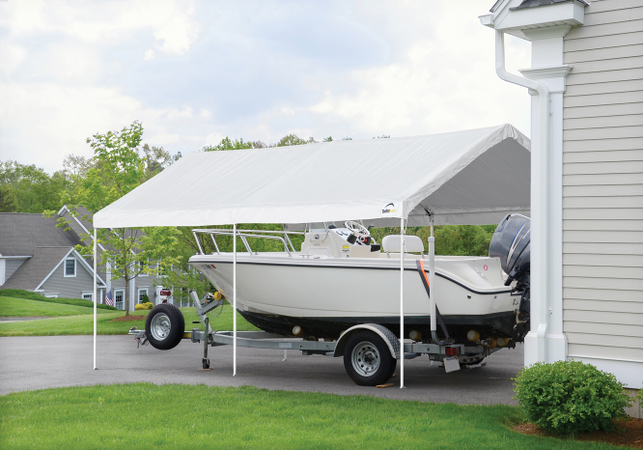 The Evolution of the Canopy. 200 sq. ft. of shade assembled in less than 15 minutes with less loose parts in the box. 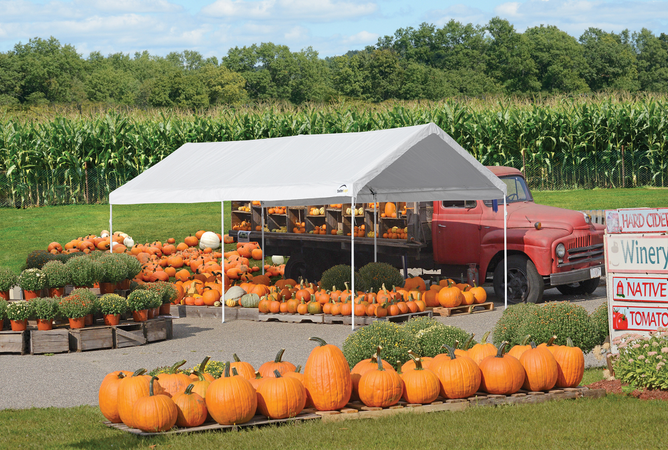 5 oz./m2 triple-layer woven polyethylene is heat sealed for a waterproof cover. UV treated inside, outside, and in between with added fade blockers. 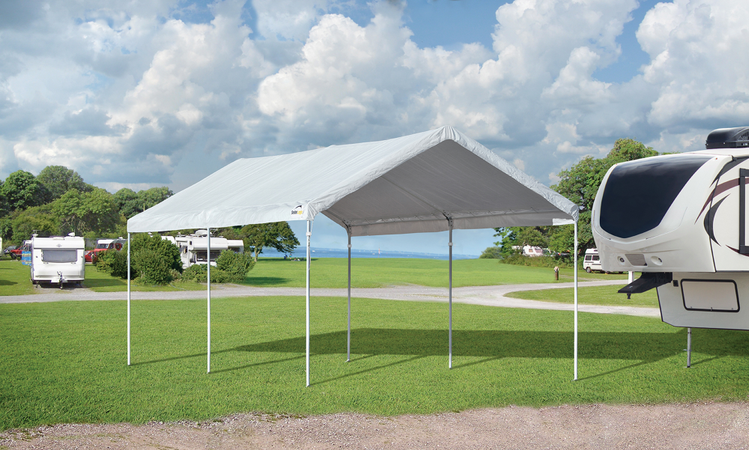 Sturdy 1 3/8 in. 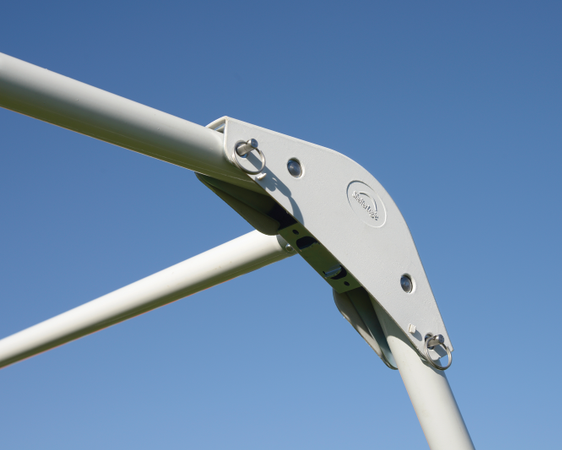 / 34 mm diameter steel construction with a premium powder coat finish resists chipping, peeling, rust and corrosion. See specifications below for warranty details. 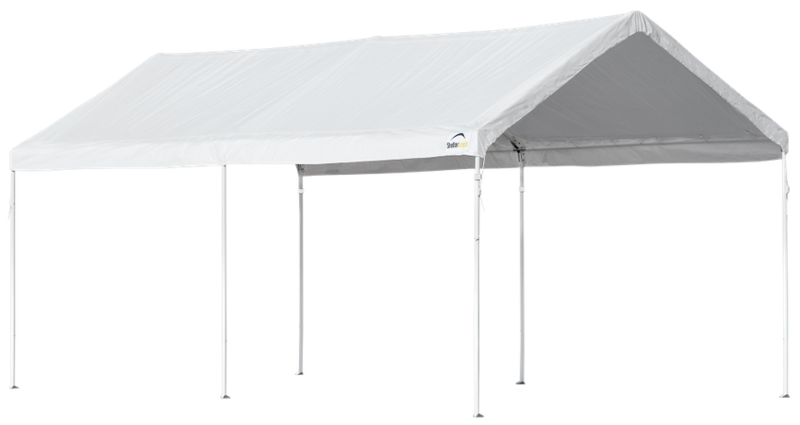 Featuring the strength of a pipe canopy with the speed of a pop-up. 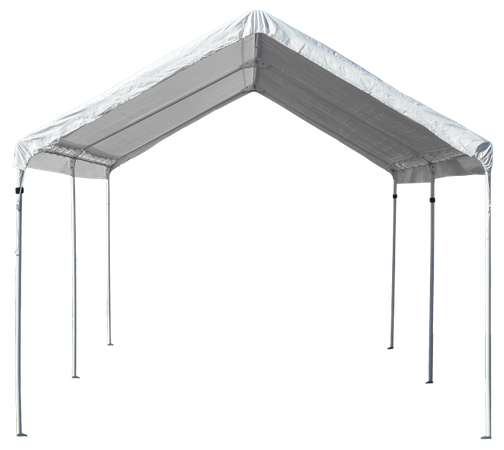 The new AccelaFrame™ Canopy provides 200 sq. 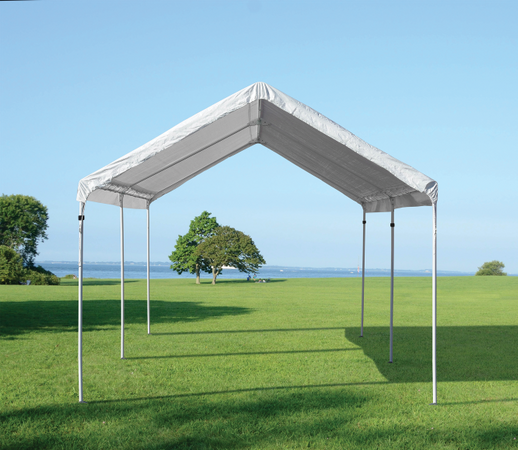 ft. of shade and shelter in 15 minutes! 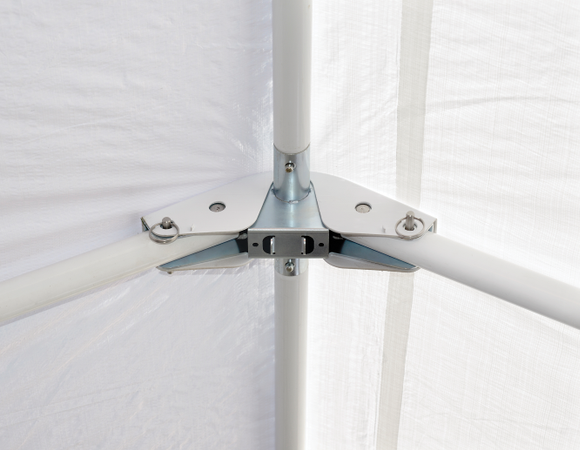 Featuring the innovative quick assembly system, this canopy has fewer loose parts and can be erected and disassembled quickly and easily. 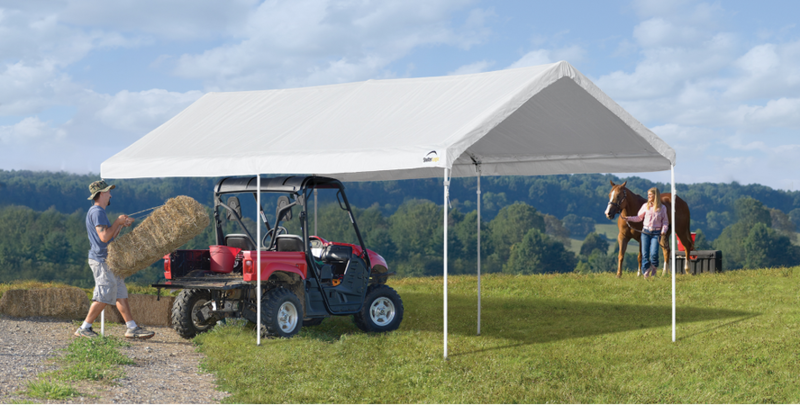 It’s the perfect combination of strength and ease of assembly whether on the job site, camping with the family, or at the next farmers market. This revolutionary patent-pending technology is the accelerated shade solution for the on-the-go lifestyle!